10 unboxing videos to make you go WTF? Oh, it comes with a USB cable. Why don't you uncoil that BAD BOY for us? You've bought something? Good for you! Well done. You earned it. Remember to fill in the warranty card and send it off the manufacturer, just in case. And charge it up properly the first time, else you might knacker the battery. What you shouldn't now do is film a video of yourself struggling to open the packaging and expressing interest in the fact you get a charger with it. Yet people do. People do all the time, thanks to the unboxing video having become a phenomenon, with boxes excitedly sliced open on film as if the user is the first person to see inside the miniature Tutankhamen's tomb a stressed Chinese factory worker sealed up several weeks earlier. The poor unboxers often struggle, and it's writ large on their faces. Do they read the full specs on the box or summarise? Is their camera good enough to pick out the wording? Is their hair still looking OK, and are they sitting in such a way that their ironic t-shirt logo is visible? As these thoughts go through the head of the unboxer, we viewers are left staring at a video of a stuttering man opening a mobile phone box who doesn't know what to say and isn't sure if he should read out the manual or simply flick through its pages and move onto talking about the cable selection. It's a grim world. To illustrate the painful futility of the modern unboxing trend, we bring you 10 particularly awkward examples of people showing off their new stuff - with disastrous consequences. It's a case, within some bubble wrap, stuffed inside a padded envelope. This is revealed halfway through the unboxing clip – the rest is yet more padding. What did he expect to be in there? The poor youth even has to look at the instructions. Yes, he has to look at the instructions to see how a case works. And it turns out it isn't even really a case, it's more of a stand. It's all out-take, from start to finish. A disaster. 2. Warhammer Fantasy: Unboxing the High Elf Army Pack English Subtitles!! Here's a long shot, but do you by any chance want to watch a subtitled video of a Norwegian man opening a box of limited edition Warhammer toys? Oh go on, he goes through them in painstaking detail. He's put the effort in. You could at least help his video break the 1,000 views barrier. Those Warhammer fans really care about stats like that. The most exciting thing about this video is when the man discovers the disc is in the DVD case the wrong way up. He awkwardly pages through the manual, pausing for the odd quip. He's also cheated by cutting through the security tag with a knife before filming began, so he's probably already had a good look through the box to think of things to say about its contents in advance. That goes against the ethos of the true unboxer. 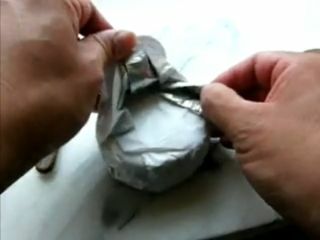 There's a worrying new trend which sees the unboxing video hijacked and used as a PR technique, with company employees such as the above expressing excitement that the finished version of the product they've been working on for the last 18 months does indeed contain all the things they know are inside it. As if the unboxing video wasn't bad enough, it's been turned into another form of advertisement. "We are going to have a party tonight" says a youth calling himself Fox McCloud DS, as he peels the cellophane off his copy of Metal Gear Solid 4 and shows the disc to the camera. The manual comes with a cartoon that "tells you like what's going on" - and then we get to watch it load. At least he stops filming before the game starts, because that's even more dull.